Our product range includes a wide range of custom printed sugar packaging bags, clear vacuum pouches, printed vaccum packaging bag, vaccum packaging bag and kraft brown paper bags. Sugar is one of the world’s most consumed products as it is used in many households. Now a day sugar can be packaged in paper or plastic packages. In this high competitive arena, the only way for identifying your sugar brands would be through the implementation of distinctive sugar packaging properties. 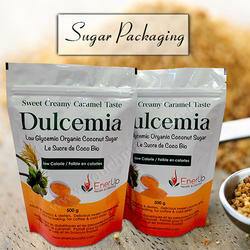 Our sugar packaging bags are made from good quality and hygienic materials. Our sugar packages protect the sugar by just about any toxic contamination, smell, ants, moisture and oxygen and always make sure that the sugar can easily remain pristine and sweet. Our sugar bags are available at some reasonable rates. Our bags are designed into multiple film layers laminated together. Swiss Pac Pvt Ltd India caters for all your sugar substance products because we utilize the best raw materials for producing our sugar packaging bags. Our bags are highly durable and cost effective. Pillow bags and many others. We manufacture vacuum bags using the latest technology, we use several layers to form the final bag shape, these layers to save the product from exposure to bacteria and microbes and therefore longer validity of the product. One of the most important features of vacuum bags, unlike the normal packaging, vacuum bags take advantage of much less storage space. We offer you two options, pre-fabricated bags or bags with logo printing or design for your products. We have a distinguished team of graphic designers. If you do not have design or have an old design and want to change, we provide you with this service. Swisspack india manufactures vacuum bags, that is the advanced flexible packaging methods. vacuum packaging has includes the process of removing excess air before the bags is completely sealed. 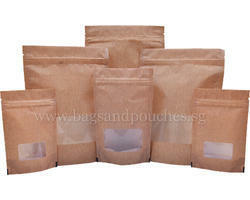 Vacuum packaging bags and pouches are suitable for transportation, distrbution and storage. Organic products and many more. Swisspack india manufactures vacuum bags, that is the advanced flexible packaging methods. vacuum packaging has includes the process of removing excess air before the bags is completely sealed. 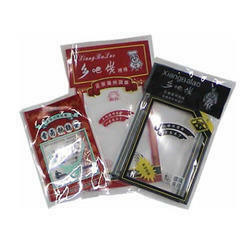 Bags and pouches Singapore produces vacuum bags which are the best flexible packaging methods, space convenient and shelf friendly. Vacuum packaging includes the process of removing excess air before the bags is completely sealed. This process is done in order to preserve fresh products. The product retains its freshness and flavor for longer. 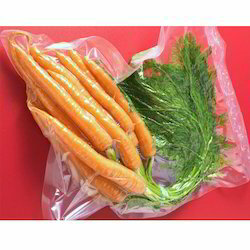 Vacuum packaging bags are suitable for effective distribution and storage. 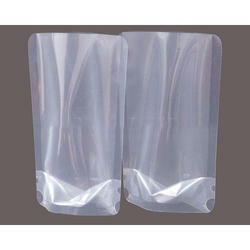 Our vacuum bags are a durable, flexible and cost effective packaging solution for your products. We provide a stock as well as a custom selection of vacuum bags as per your requirements. For our custom vacuum bags, we utilize the rotogravure technique, allowing us to print up to 9 colors. Our all food vacuum bags have been tested and proved 100% safe for the use of all the food products. Backed by rich industry experience, we are affianced in providing a qualitative assortment of Printed Vacuum Packaging Bag. Our offered packaging is highly applicable in industries for packaging dry fruits, medicinal ingredients and other products with optimum safety. This packaging is manufactured using quality approved raw material and contemporary technology, in sync with industry norms of the industry. In order to ensure the quality of products, our team of experts tests them on various parameters. Keeping track with the market development, we are engaged in offering our clients with a wide collection of Vacuum Packaging. This packaging is precisely manufactured using optimum quality raw material and excellent technology in compliance with industry standards. This packaging is ideal to store fruits and vegetables. Keeping in mind the diverse requirements of our clients, we provide entire range in various sizes. We are offering kraft Brown Paper Bags to our clients.